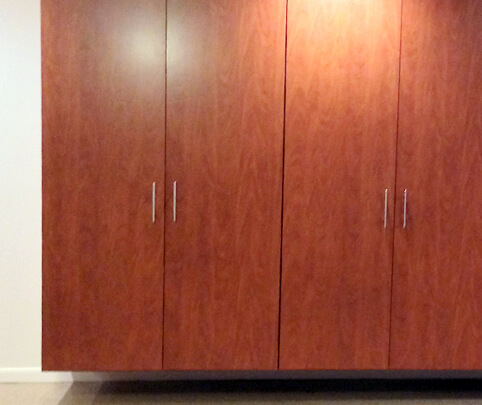 All of our garage cabinets are custom designed to meet your wants, needs and space limitations. By customizing your space there will be storage for your regular storage items as well as space for gardening and cleaning equipment, luggage and other items that you may use only occasionally. There are two styles of garage cabinets to choose from, five standard finishes and many custom color and accessory options. We use matching edge-binding on all trim and door edges and our shelving is one of the strongest in the industry. The cabinets are manufactured at our fabrication facility in Phoenix using only quality materials and the latest in finish technology. 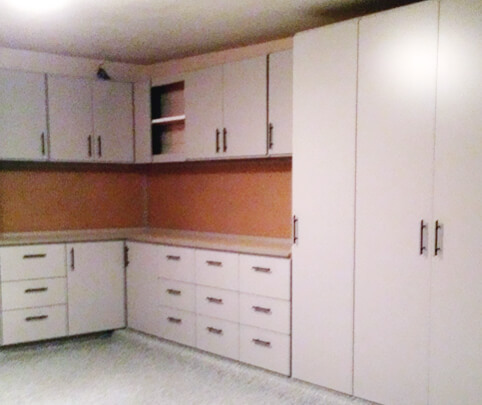 The garage cabinets will be installed by our professional staff who have many years experience in the woodworking and home improvement markets. 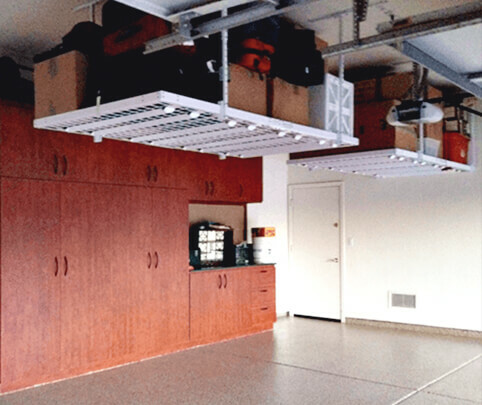 Our cabinets are reliable, durable and will add both a richness to your garage and value to your home. 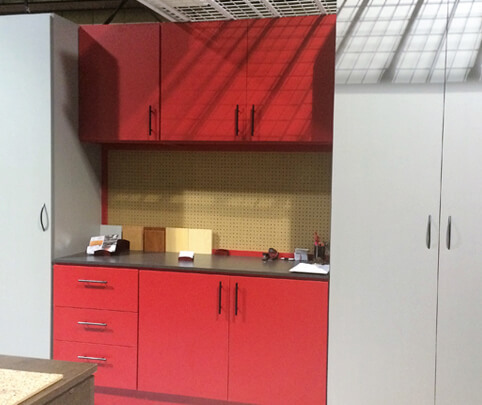 These garage cabinets are offered with either a cold rolled melamine finish or a heat treated thermofused melamine finish. We assemble the cabinets on site including the concealed hinges and the chosen accessories. The cabinets do not include backing but it is an option. If you have an uneven wall or an inadequate drywall, backing is recommended. The cabinets can be mounted on either a raised or level floor, on a toe kick base or on adjustable legs. They are attached permanently to the garage walls. 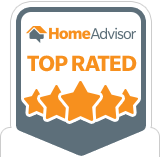 We are able to build around or enclose water heaters or other appliances located in the garage. The cabinets are offered only in the standard finishes shown below. Smart Systems Plus is the only company to offer three material combination alternatives. 1. STANDARD: Cold rolled melamine finished exterior with a plain interior, no backing. 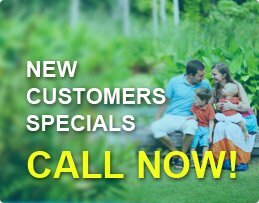 This is our most cost friendly offering. 2. HYBRID: Heat treated thermofused melamine facing and trim with cold rolled interior, no backing. 3. SUPERIOR: Full heat treated thermofused melamine finished cabinet with no backing. When you already have cabinets and still need additional storage space the solution may be our commercial grade overhead racks. The racks are custom designed to respond to the storage of items which may be needed only occasionally. 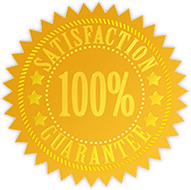 Our standard offerings are comprised of three widths and two weight classifications. We can offer other dimensions but not weight classifications. Our racks are strong, durable and designed for functionality. Costs vary depending on your choice. Our workbenches can be incorporated into any cabinet installation and will be custom designed to your specific needs. The standard workbench is build on site and is between 32″ and 36″ high with three drawers. We give our clients an option to increase the number of drawers to five for an additional cost. The drawers are made with 80lb ball bearing full extension commercial quality slides. The standard top is a thermofused melamine laminate but can be upgraded to a butcher block laminated finish. The workbench can be designed to fit into the overall requirements for the functionality of your space. ADDITIONAL STORAGE SOLUTIONS we include pegboards, wall mounted tools, bike racks and space for sports equipment. Life is made easier when things are put in their place and everything is kept in order.